Tommy Hilfiger is one of the world’s leading premium lifestyle brands delivering superior styling, quality and value to consumers worldwide. The brand celebrates the essence of Classic American Cool and provides a refreshing twist to the preppy fashion genre. As a company, Tommy Hilfiger believes in the power of digital communication. The large flagship store in Dusseldorf is using innovative technological integrations that create a digitally infused shopping experience. With a significant addition nearly doubling its original size, the store now spans 1,822 square meters. Featuring a bright and open atmosphere, the concept reflects the American heritage and modern influences that epitomize Tommy Hilfiger’s aesthetic. The project aimed to perform a proof of concept for in-store digital innovations to see what works and what doesn’t. Tommy Hilfiger wanted to create a full shopping experience by integrating digital communication. The target group for the digital signage project was in store customers and people passing the big shopping windows of the store in Düsseldorf. After a full evaluation, Scala was chosen as a partner for the integration of the digital signage part. Windows near main entrance: Two large videowalls (2*3 in landscape) that show content in a window that is also filled with mannequins & props. The screens are also equipped with a sensor (camera) that can be used to trigger content based on motion. Window near secondary entrance: A smaller videowall (1*2 in landscape) that features specific content related to the shoes & accessories section of the store, as well as general branding content. The ground & first floor: Two setups of mega screens (3*2 in portrait) featuring currently trending content that pulls in data from live feeds such as the weather, twitter, music currently being played in store and the results of these feeds. Runway screen: An aesthetic screen (1*2 in portrait) that features runway models. Store directory: The size & complexity of the store required the need to provide an in-store wayfinding system that not only directs customers but attracts more attention than traditional signage. Tommy Hilfiger selected Saas (Scala as a service) as their solution. This cloud based application for Scala’s Content Manager system doesn’t require a software or hardware installation. The system makes use of various attracting setups. If people pass by, content is exchanged like a ball being thrown between two screens. 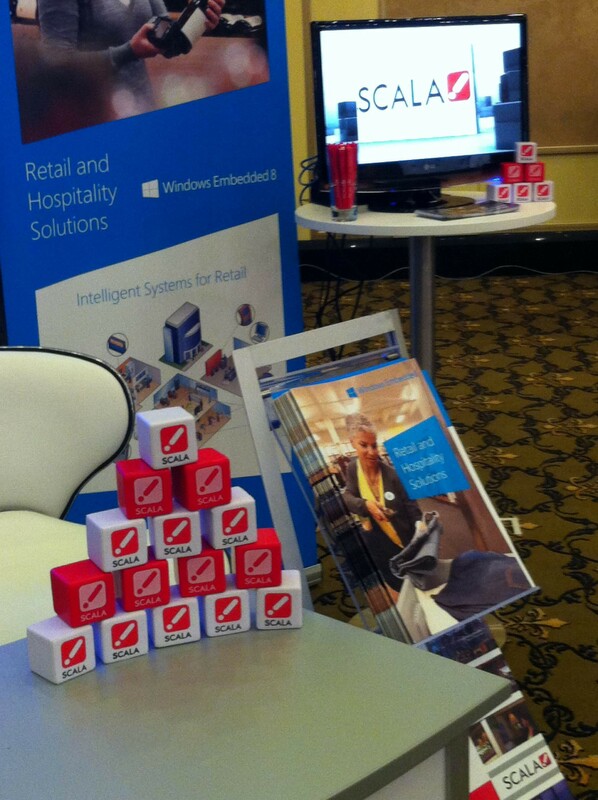 Sales personnel can also trigger videos from an Ipad on various screens using the Scala Fling application. With Scala Fling, a user is able to “throw” content from the tablet onto a larger screen by swiping the tablet content upwards. Various videowalls generate one message across various locations in the store. There is also integration with various live feeds from social media & weather information services. Content can be shown based on the music currently playing in the store. All this is supported with Scala software leading to an effective and easy to use system. The project is up and running and will be used as a pilot for further store development concepts. Visitors and Tommy Hilfiger employees are very satisfied with the new look and feel of the flagship store and the integration of digital communication.